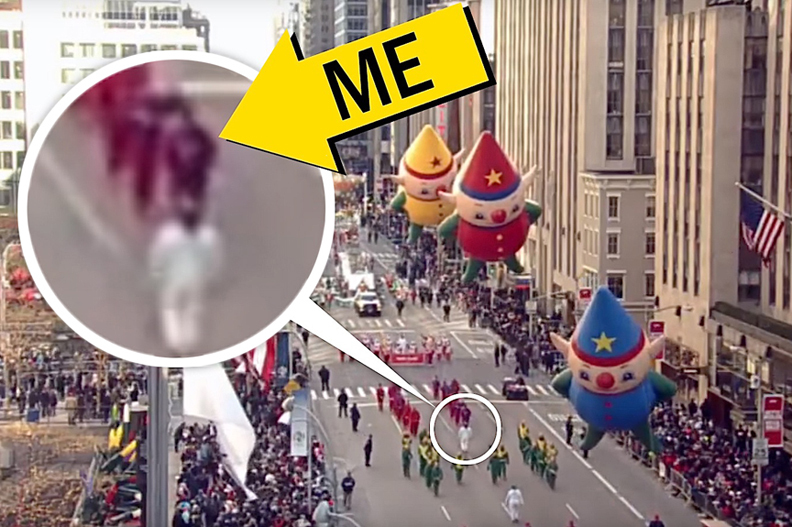 I found myself in a position of great responsibility at the 2017 Macy’s Thanksgiving Day Parade. I was a balloon handler assigned to C.J., one of three Macy’s elves based on a balloon from 1947, the year of “Miracle on 34th Street.” C.J. is the one in yellow. The other two are Charlie, in blue, and Kit, in red. I manned one of two “head lines” for the C.J. balloon. (Intuitively named, the “head line” is the rope that is attached to C.J.’s head.) My line was on the right side of C.J. ; a funny guy whose name I never learned held the line on the left. This gentleman and I were positioned at the front of the team. C.J. and his two fellow Macy’s elves are small balloons — just 12 handlers per — but they are not without their challenges. It boils down to this: The elves look best to parade goers and on TV when they are flown vertically — that is, if they appear to be standing up straight. But these balloons have a tendency to want to fly somewhat horizontally. That makes things tricky on a good day. But if there’s wind, it can get messy. A bonus quandary: Even a mild bit of wind makes C.J., Charlie and Kit, those little imps, want to … dance. C.J. 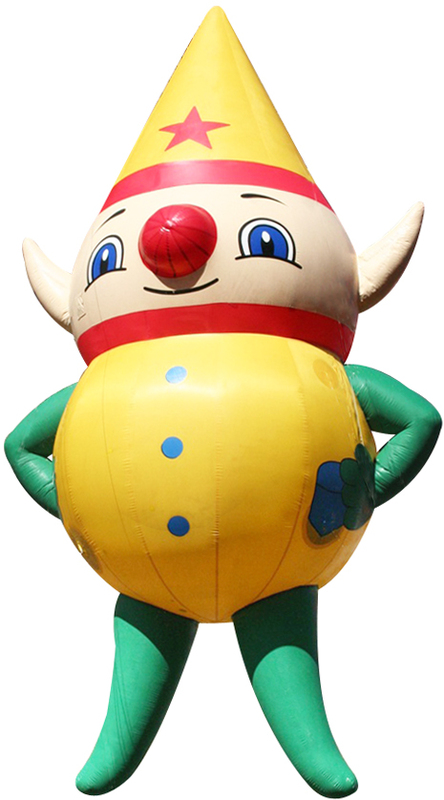 is one of three elves based on a balloon that debuted in the Macy’s parade 70 years ago. This was my fifth Macy’s parade. I’m at the point where I’m struggling to remember which balloons I manned on what years. But here it is: Yes Virginia in 2013; Bob the Fireman in 2014; Elf on the Shelf in 2015; Red Star #2 in 2016; and C.J. this year. It’s a grand, romantic notion to be in the Macy’s parade. But I gotta tell ya, there’s always a large measure of pain involved. I’m talking about the cold. You have no choice but to wait in bitter cold for hours, beginning around dawn, at 81st Street by Theodore Roosevelt Park and the Museum of Natural History, where the inflated balloons are weighted down beneath netting, waiting to entertain millions. This extended exposure to cold is torture — ruthless, unyielding torture. You can’t make out my face, but that’s me on the “right head line” of C.J. the yellow elf, a position of great responsibility. The gentleman in white facing me is the balloon’s pilot. Which line you get on a balloon is pretty random. No one assigns you to a line; you just claim one while the balloons are still weighted onto the ground. It’s almost like a game of musical chairs. At this point, you can’t really tell which line is which. I imagine that the captain or the pilots (the folks who guide the balloon handlers with hand signals and whistles) could switch people around once the balloon is up, but I have yet to see it happen. So it was just dumb luck — not my fabulous experience — that I got one of C.J.’s head lines. The responsibility I spoke of earlier lies in the fact that the handlers behind me on the right side of C.J. had to line up with me at all times. So I had to make certain I was in the correct spot at all times. In other words, if I screw up, everyone screws up. Since I was in front of the balloon, I couldn’t see how it was flying. For this, we rely on our pilot. Due to mild gusts that morning, the pilot had to work me, in particular, a lot. In order for the balloon to remain in perfect formation while we marched, I often had to shift my position at the commands of the pilot, himself reacting to the gusts. (Yeah, balloon handling is very much a work-in-progress.) There was also the problem of the wildly varying tautness of my line. My pilot told me never to let out line. Sometimes, it took quite some strength to follow this order. Another complication on parade day: All three elves shared one captain. (Usually, every balloon has its own captain.) So this poor guy spent the entire parade running from Charlie to Kit to C.J., making certain that each elf was flying straight up and in formation. So actually, a lot of the captaining was done by the pilots. Everyone pulled together. So it was a different parade this year. But then again, no two are alike. And since C.J. is the final balloon prior to Santa’s sled, we found ourselves in an enviable position. Block after block, once the crowd realized that Santa was visible in the distance, a loud roar erupted that usually, you’d only hear at the bottom of the ninth in a tie game with two outs, two strikes, three balls and the bases loaded. Like, super loud. Smokey Robinson and Patti Labelle were there! “Tracks of My Tears” and “Lady Marmalade,” yo! 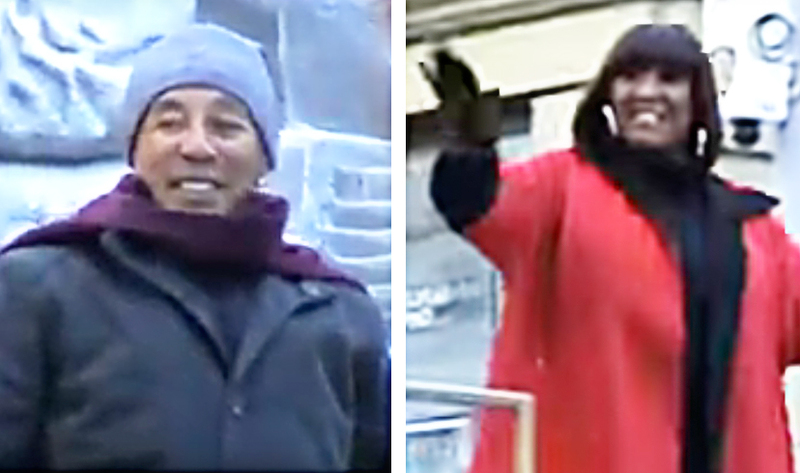 This year, Smokey Robinson and Patti Labelle were among the celebrities who waved from floats. I love Smokey Robinson and the Miracles! I never get to see the celebs, but I’m always interested. For the rest of my days, I’ll be able to say that Mariah Carey once opened for me. So to speak.